Sometimes in life, when you are looking for something or someone, you end up finding something else. That is quite natural as I strongly believe it has happened to many people at a point of their life. 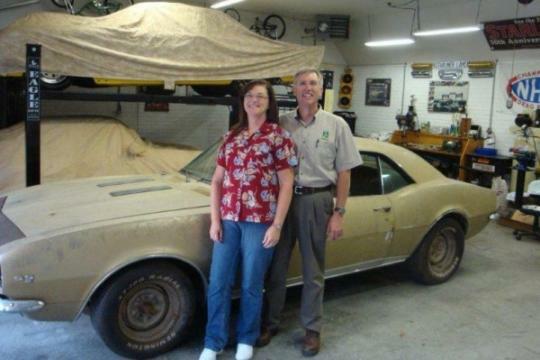 It happened to an American man who was searching for his birth mother and unexpectedly ended up with a 1967 Chevrolet Camaro RS/SS that has been in the family for many years. 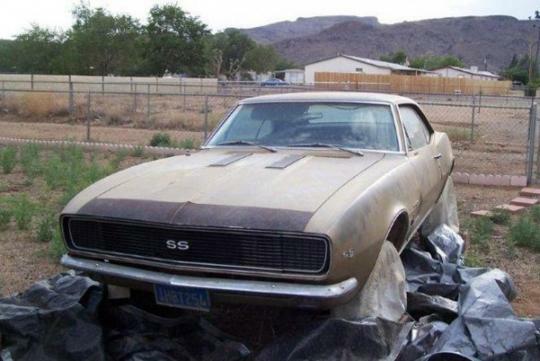 Zach S from Virginia, United States; first saw the Camaro RS/SS in 2006 when he met his birth mother in Arizona after years of searching. During the meeting, both mother and son shared many stories and pictures. 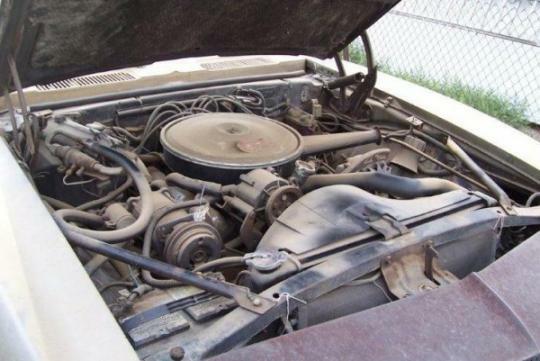 When Zach mentioned to his mother that he was into cars, his mother told him that his grandma's car was stored in the back yard under a tarpaulin. 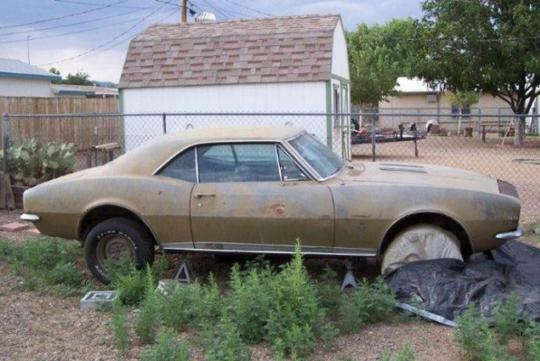 Under the canvas sheet was the 1967 Chevy Camaro RS that has been stored in the harsh conditions of the Arizona desert for more than twenty years. According to Zach, it was like a time capsule. 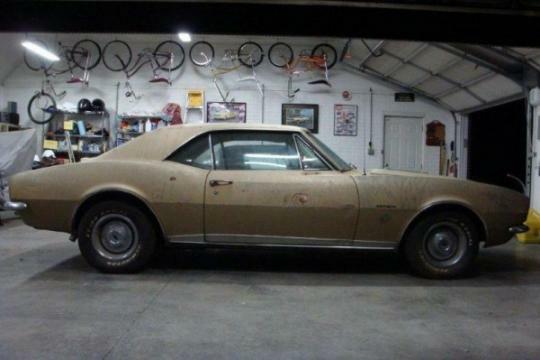 The car was purchased new by Zach's grandmother from a dealer in Los Angeles. She ordered the car with the RS/SS package. It came with the RS package trimming and it was fitted with a 5.7-litre V8 engine that delivers around 295bhp. 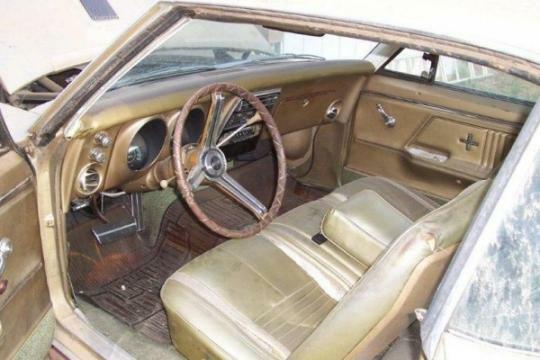 The car also came with a rare bench seat, automatic column shifters, power steering and hidden headlights.  When Zach's mother passed away in 2008, he asked his brother whether if he could buy the vehicle but his brother was not willing to part with it at that moment. Two years later, Zach got a telephone call from his brother who said that he was ready to sell the Camaro to Zach. And so, Zach hired a company to ship the Camaro to his home in Virginia. 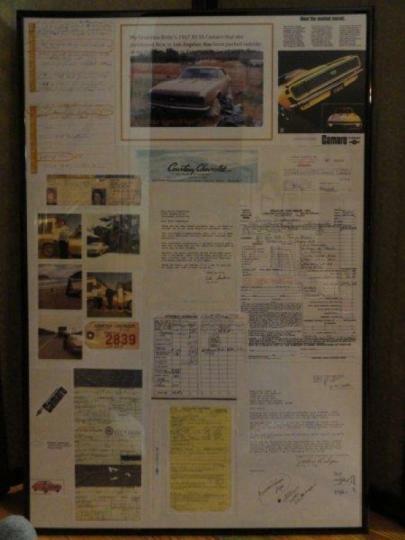 Zach's grandmother have kept all forms of documentation of the car in a diary and he found out that the Camaro has never been titled outside of California. Zach has all the documents in the diary and it also included several other things such as a letter from the dealership's salesperson thanking her for buying the car and two speeding tickets from the same policeman in the same month. Zach intends to get the car fixed and drive it around for a few years before passing it down to his sister's children in order for the family's future generations to cherish and enjoy.